There are a variety of ways you can upgrade your home, from extensive remodels to single-room enhancements. Here are five home upgrades that you can never go wrong with. Being constantly surrounded by technology, we’re always finding ways to make our devices smarter, faster, and more applicable to our day-to-day lives. Adding high-tech doorbells and hands-free devices like the Amazon Echo and Google Home allow us to streamline our lives and make our homes more efficient. In addition to these devices, you may also want to look into smart lighting and add a lamp that can be turned on and off via an app. Smart light bulbs also exist with color-changing options that can coordinate with your mood. 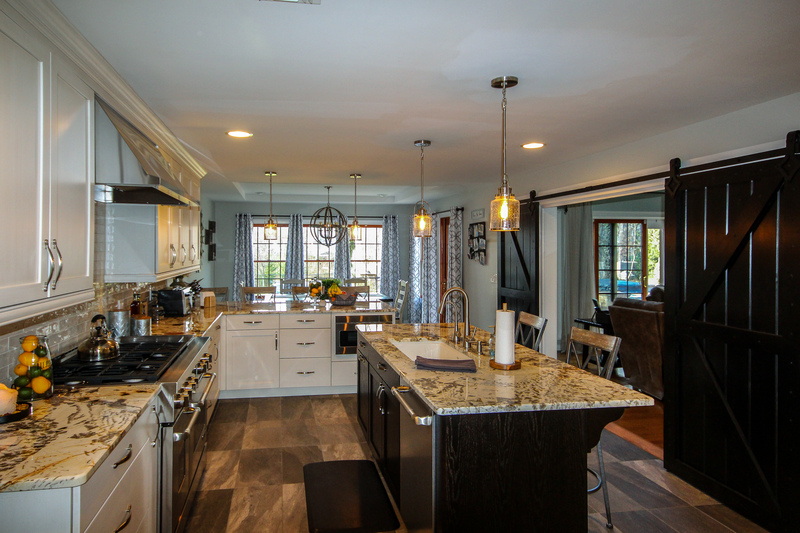 Making upgrades to the kitchen can significantly increase resale value and boost your home’s overall appeal. Consider adding a kitchen island, energy efficient appliances, or a tile backsplash. You could also upgrade the kitchen by including open shelves and cabinets. If you’re on a budget, make simpler changes like swapping out drawer knobs for more modern ones, buying new flatware, or adding new lighting. Do some hardscaping and add built-in concrete planters or a low stone wall. Get rid of all weeds. Upgrading your faulty dishwasher or finnicky HVAC system could save you money in the long run, especially if you invest in a high-quality, energy-saving appliance or system. Before dropping hundreds of dollars on a new appliance, see if your home warranty will cover a replacement. Typically, a warranty will cover items that have broken down due to normal wear and tear, so if this is the case with your appliance, you could qualify for a free replacement. Upgrading your walls with a fresh coat of paint is one of the easiest upgrades for homeowners looking to save money. The average cost to paint a 120-square-foot room is about $100. If you want to get the most value out of painting, consider addressing the living room or master bedroom. Additionally, if you’re trying to sell your house, opt for a neutral color, as this will make the home more enticing to potential buyers. By being smart about how you spend money on home upgrades, you’ll increase the overall resale value of your home and only incur costs in areas where you’ll also get a return. While these types of upgrades are preferred, you can absolutely spend money on renovations that don’t aid in functionality or give you a return on investment. Whatever type of home upgrade you schedule, just be sure to plan and save accordingly so you don’t end up going into debt from a home improvement you can’t afford. About the Author: Kay Carter is a writer from Raleigh, NC. When she isn’t writing about home improvement or interior design, you can find her reading, traveling, or practicing photography.